I have more than 30 years of hairdressing experience , I am passionate about my job and enjoy creative cutting and dressing long hair. 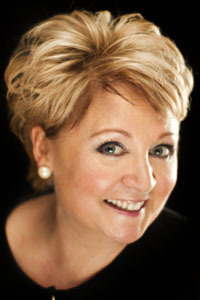 I continually keep updated with latest trends and techniques by regularly attending courses and seminars. I am ambitious about my work and pass on my skills and experience to my team. Also I am an educator, qualified to teach and assess students, which I love. Also held workshops for dressing long hair to fellow hairdressers which gives me job satisfaction. 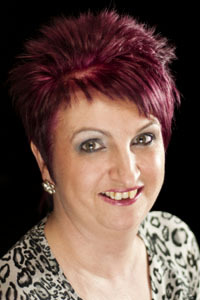 I am an experienced and passionate hairdresser with over 26 years in the industry. I continually attend advanced styling, cutting and colouring courses, I love to pass on my skills to the up and coming future stylists at Jades. I have found that fashion goes in full circles, but there are variations each time round and I find it great fun to work with the changing trends and also my own variation with the looks I love to create. As I head into my 34 th year at Jades, I have plenty of experience with both young and older customers. I strive to keep up with new ideas and processes that challenge the hairdresser of today. I can always be called upon to do a traditional perm or shampoo and set, but would like to think I am equally able to do a modern cut, male or female. I get a lot of pleasure out of blow drying or doing a hair up for a special occasion. The best words any hairdresser can hear are “I feel and look better now”. 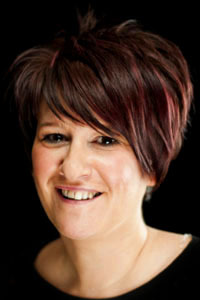 Hi, My name is Chris and I have worked in Jades for 30 years making me one of Jades most experienced stylists. We have a really strong, friendly team of girls in the salon, which gives Jades a unique feel, which is why I love coming to work and enjoy my job so much. Jades gives me the opportunity to be creative and also I have become more ambitious due to the responsibilities attached to my job, i.e. assisting in marketing, promotions and education. Being qualified as an NVQ assessor I can assist with in-house training . I enjoy keeping up to date with the latest trends, attending courses which include Goldwell advanced cutting courses at the Academy, and also in-house training with Goldwell colours. I have been at Jades for 2 years, 4 years of barbering experience, loving all aspects off hairdressing, colouring and long hair. Im fairly new to the jades team, loving all aspects off hairdressing,especially loving long hair and Im qualified in semi permanent eyelashes, and i am also a nail technician. Hello, my name is Emma and I have worked at Jades for the last 17 years. 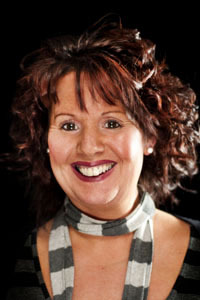 I am a part-time receptionist and I enjoy my job very much and I love meeting new people. I have worked at Jades for 18 years. I enjoy the variety of things I do from shampooing to reception work. I love working with all the clients that we see and enjoy all the friends I have at jades.